Want to make sure the air you and your family are breathing is as pure as you expect it to be on Vancouver Island? A certified mould inspection professional will assess the environmental and physical condition of your home or commercial property. If there’s mould, we’ll find it. We’ll send samples from your property for lab testing to confirm the presence and identify the type of mould. 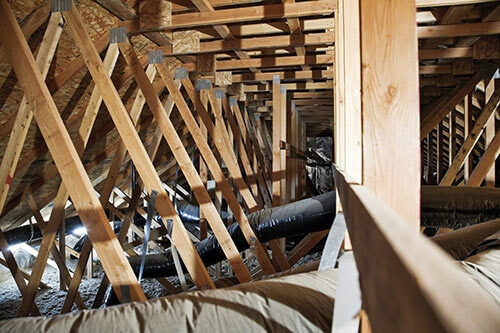 High-probability areas, such as attics & crawl spaces, roofing or plumbing leaks and areas with evident flooding, staining or musty odours, will be thoroughly inspected. We will provide you with a comprehensive report within a week of your assessment. We’ll show you exactly what is lurking in your home, how it may be affecting your air quality or the health of your family and what your next steps may be. We’ll also provide a quote for the most cost-effective and non-invasive removal of any mould we find. “Norm was quick, neat and very fair. I have no hesitation in recommending Aardvark Mould Inspections." Though generally not a problem in newer homes, if you live in an older home or commercial building on Vancouver Island, asbestos could be a very real concern. If you’re concerns about asbestos, please contact us about our asbestos testing & encapsulation services. We’re committed to providing exceptional service in a timely manner to our clients on Vancouver Island. Still have questions about the inspection process? Call us. Our friendly staff is here to answer your questions.